A lot of people face financial problems and difficulties in their lives. If you find yourself in a lot of debt it might seem like there’s no way out. However, you always have the option of filing for bankruptcy. But, this is a huge decision to make and will have a massive impact on your life. So you need to be sensible about it and be sure you’re ready for a step that big. Filing for bankruptcy will change your life, and may have negative effects on your future. However, it will also allow you to start again from scratch. You’ll be able to focus on rebuilding your finances and getting your life back in order. As such, it’s a very important process for a lot of people. Here is a list of four things you need to make sure you do when filing for bankruptcy. 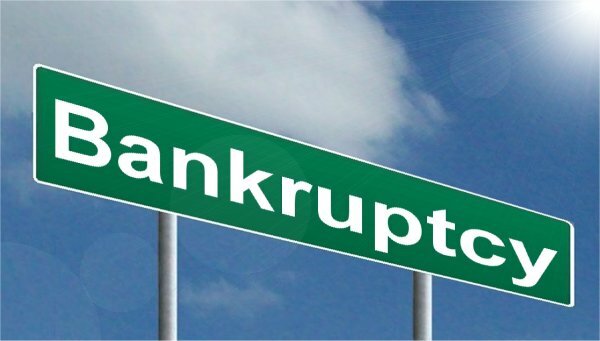 The two most common forms of bankruptcy you can file for are Chapter 7, and Chapter 13, and you have to decide which. Chapter 7 bankruptcy is where you request all debt to be wiped, and your assets are liquidated to cover the debts. Chapter 13 bankruptcy is engineered more like a repayment plan where you pay back debt over a set time period. You will need to fill out paperwork to determine the sort of bankruptcy you can file for. Generally, those on high income will not be eligible for Chapter 7 bankruptcy. The most important part of the bankruptcy process is hiring the right legal team. You need to make sure you lawyer up right at the start of the process. This is a scary step and one you’re taking into the unknown. The right bankruptcy lawyer will be able to shepherd you through this process. They will have knowledge and insight that could prove crucial, and they’ll be there to advise every step of the way. Remember, you don’t have to do this alone. It’s a difficult and trying time, so legal support is something that always helps. The worst part about having to file for bankruptcy is the aftermath. You might feel like the weight of the world is on your shoulders. Sure, you’re now debt-free, but at what price? A lot of people struggle to deal with this and become distressed and upset through the process. It might help to speak to your lawyer about how you’re feeling. You might want to go see a therapist as well to deal with the emotional difficulties. It’s important to try to get into the right mind-set following your bankruptcy. It’s easy to look on this like it’s the end of the world, but, instead, try to look at it like a fresh start. Consider yourself reborn, and then you’ll be in a more positive frame of mind. Bankruptcy is not something any of us wants to face in our lives, but it’s sometimes unavoidable. You need to think very carefully about whether you’re going to file as this is a big decision. But you need to understand that sometimes this might be the only way out to let you rebuild your life again. Make sure you follow these steps if you’re planning on filing for bankruptcy. « Does A Bad Credit History Prevent You From Having A Normal Life?